Hello my loves, how are you? I have exciting news today. I know you have the hint because of the title, but let's get into more detailed okay? Yes, Perfect Secret is officially open in SM Seaside Cebu last April 27, 2017. 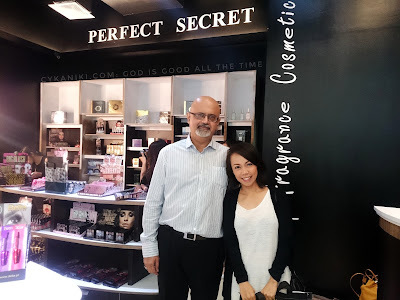 Perfect Secret is a new cosmetic store in Cebu which offers various of makeup's, fragrances and different cosmetics found in different countries and they're bringing them here in the Philippines with a high quality for their customers with much-lowered price. The store is located on the upper ground floor, between Mango and Forever 21 at SM Seaside Cebu City. The store owner, manager and the staffs were so accommodating and willing to answer your queries. And you know me I'm a fan of pictures, hahaha! I really love how they organize their product lines, everything was well arranged and easy to locate. The design of the store is super elegant and the color theme goes with it as well. This photo shows Ms. Denise Bassler Pro Makeup Artist demonstrates a day time look on this model. 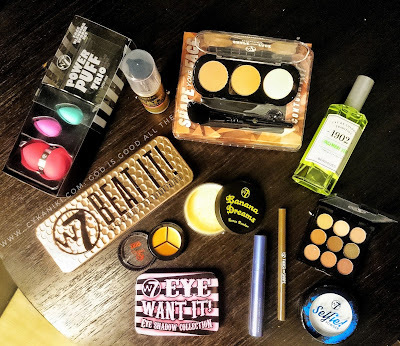 She also shares some tips when it comes to makeup, of course, using the products found at the Perfect Secret store. She was very keen in explaining every step of the makeup that she did on the model. I personally love her techniques and the way she explains everything. 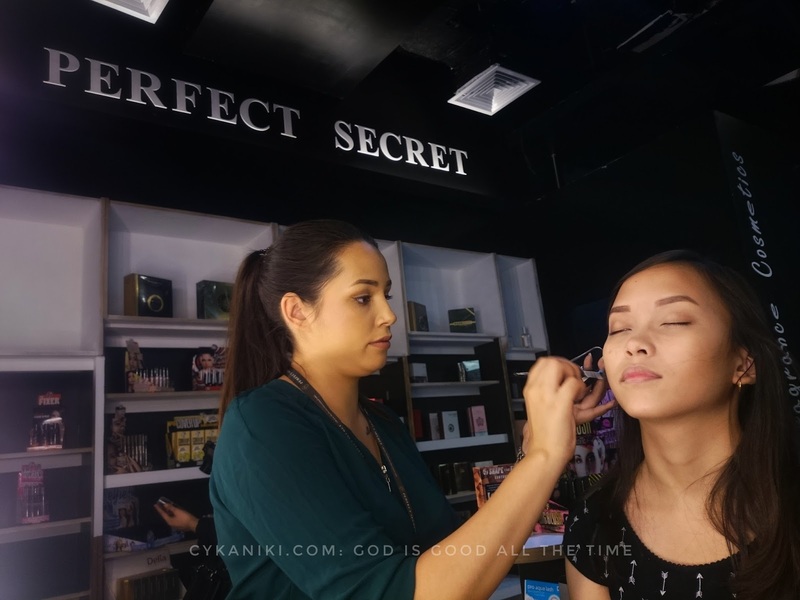 She also makes a lot of makeup demos, so you need to catch her at Perfect Secrets, she's super approachable and willing to guide you. 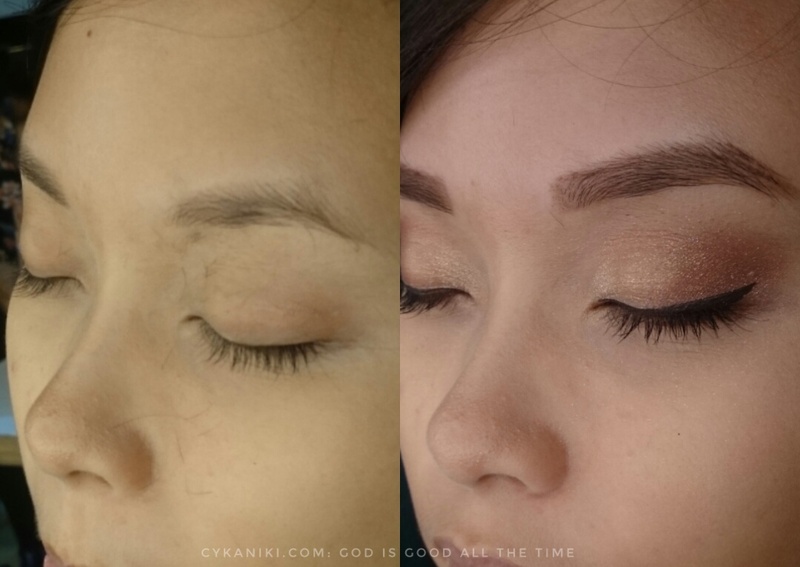 This is the before and after, first, she cleaned and trimmed the brows and proceeded with the makeup. The makeup was subtle and clean. I loved how she applied the eyeshadows and that mini winged liner is love. This really shows how makeup can enhance beauty. We are beautiful inside and out, but we can also enhance it even more with makeup. These are some of the products available at the Perfect Secret store. 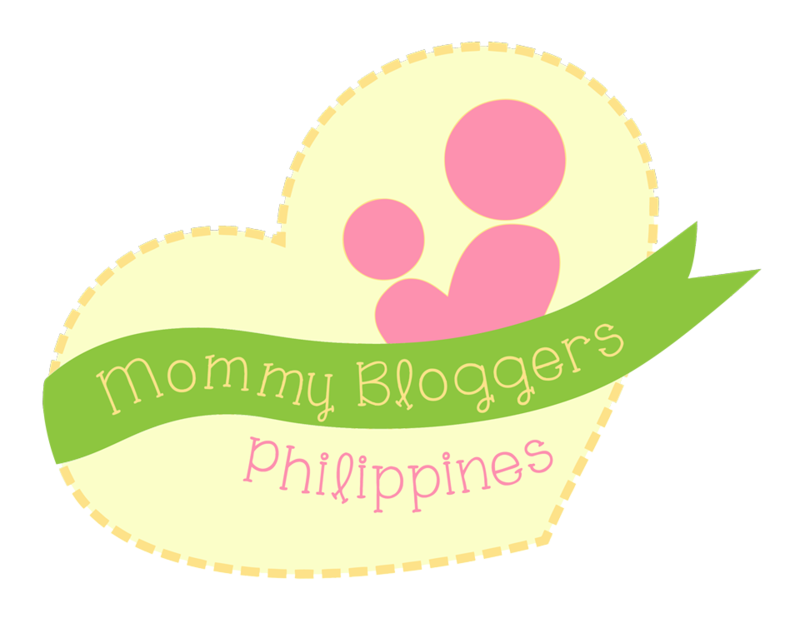 If you're near the place or wanting to have products which are not available here in the Philippines, check them out maybe they have what you're looking for. Thank you so much for dropping by, I really appreciate it. Have a great day, Godbless.